Vikings offensive line coach Tony Sparano has passed away at the age of 56. Vikings offensive line coach Tony Sparano has passed away, according to a report by KSTP-TV. The team later confirmed the news via a statement. Sparano was 56 years old. “Our hearts go out to Jeanette and the entire Sparano family as we all mourn the loss of Tony. Tony was a passionate and driven individual who cared deeply about his family, and especially enjoyed spending time with his grandchildren. Tony's presence within the Vikings organization will be deeply missed. We are only thinking of Tony’s family during this incredibly difficult time. We ask that the entire NFL and Vikings family keep the Sparanos in their thoughts," owners Mark and Zygi Wilf said. General Manager Rick Spielman addressed Sparano's passing through a team statement Sunday afternoon. Sparano joined the Vikings' staff in 2016 as an offensive line coach. The assistant served as the head coach of the Miami Dolphins from 2008-2011. In 2008, he became the first coach in NFL history to lead a team to the playoffs following a one-win season. During that season, he created the Wildcat formation, which quickly became a personnel package teams still use today. Sparano was also as an interim head coach with the Raiders in 2014. He coached in the NFL for 19 years, including as an assistant in Dallas with Vikings head coach Mike Zimmer from 2003 to 2008.
Zimmer released a statement early Sunday afternoon to address the loss of a long-time friend and colleague. "I love Tony Sparano. He was a great teacher, a grinder of a worker and had a toughness and fighting spirit that showed in our linemen," Zimmer said. "He was a great husband, father and grandfather and a great friend to me. This is just sinking in for us but Tony will be sorely missed by all." ESPN's Adam Schefter reported Sparano went to the hospital with chest pains on Thursday. 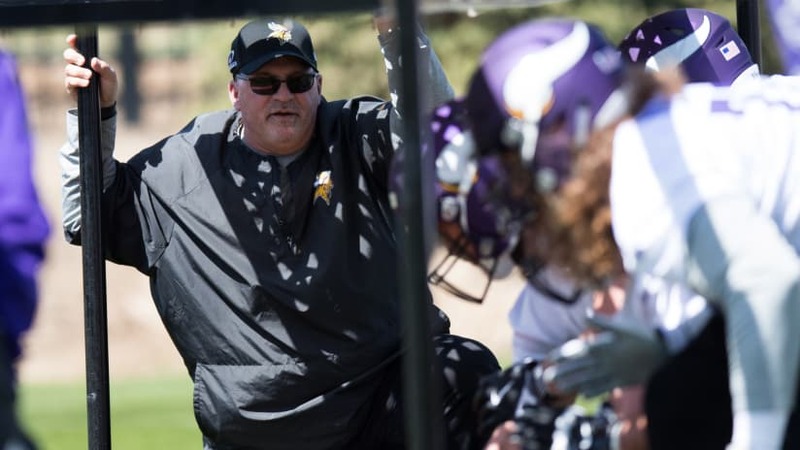 1/2 More details on tragic passing of Vikings’ OL coach Tony Sparano, via @mortreport. Sparano complained about chest pains this weekend and went to hospital Thursday. Doctors did tests, but released him Friday. 2/2 Tony Sparano and his wife, Jeannette, were about to leave for church this morning when she found him unconscious in their kitchen. She tried CPR, but he could not be revived. He was 56. Tony is survived by his wife Jeanette, his two sons Tony and Andrew, his daughter Ryan Leigh and four grandchildren.